In April 2019 we began a programme of work to monitor and support the improvement of aid transparency across the UK Government. 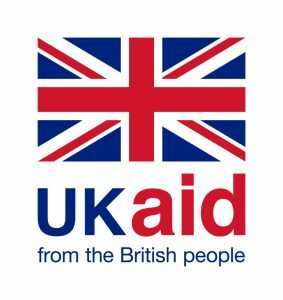 The UK Government’s aid strategy, launched in November 2015, provided for an increase in the total volume of Official Development Assistance (ODA) from approximately £11.7 billion in 2014 to £16.1 billion in 2020, in line with the Government’s commitment to spend 0.7% of Gross National Income on aid. The aid strategy envisaged that the proportion of ODA spent by the Department for International Development (DFID) would fall from around 85% in 2015 to close to 70% by 2020. The stated intention was to draw on different departments’ complementary skills to help ensure a joined up approach. This means that significant quantities of ODA are now being spent by other government departments. The UK aid strategy also underscored the importance of transparency for the effectiveness and accountability of that spend. The UK Government committed DFID and all government departments spending ODA to rank ‘good’ or ‘very good’ in Publish What You Fund’s Aid Transparency Index (the Index) by 2020 as their measure of success. DFID has been a leader in aid transparency and so the increase in aid spent outside DFID poses a challenge to transparency. In the 2018 Aid Transparency Index, for example, DFID ranked ‘very good’ and the Foreign & Commonwealth Office (FCO) the only other UK government department to be included, ‘poor’. This indicates that there is work to do by government departments to meet their transparency commitment by 2020. We have started a programme of work to monitor and encourage the improvement in the transparency of aid across the UK Government, building on DFID’s strong performance and leadership in this area. DFID has been tasked with providing support for improving transparency among other ODA-spending government departments and has funded this review. Two cross government funds, the Prosperity Fund and the Conflict, Stability and Security Fund will also be considered as part of the review. Our methodology promotes ongoing engagement with agencies to identify areas for improvement and maximise progress towards greater transparency. The results will be produced by the end of 2019, in time to check progress before the UK aid strategy’s 2020 commitment date.